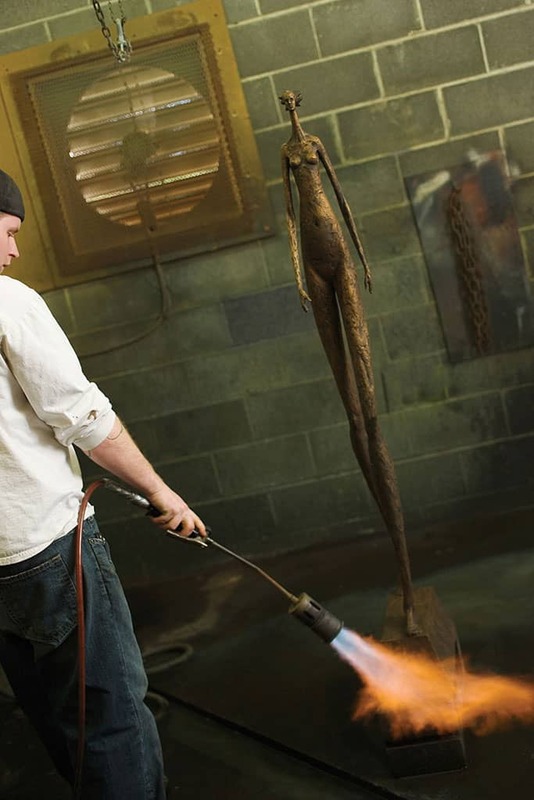 Once the sculpture is fully assembled and chased to replicate the original, the next step is to get a completely uniform surface so that the sculpture can accept the patina. Man on Diving Board Study is shown. 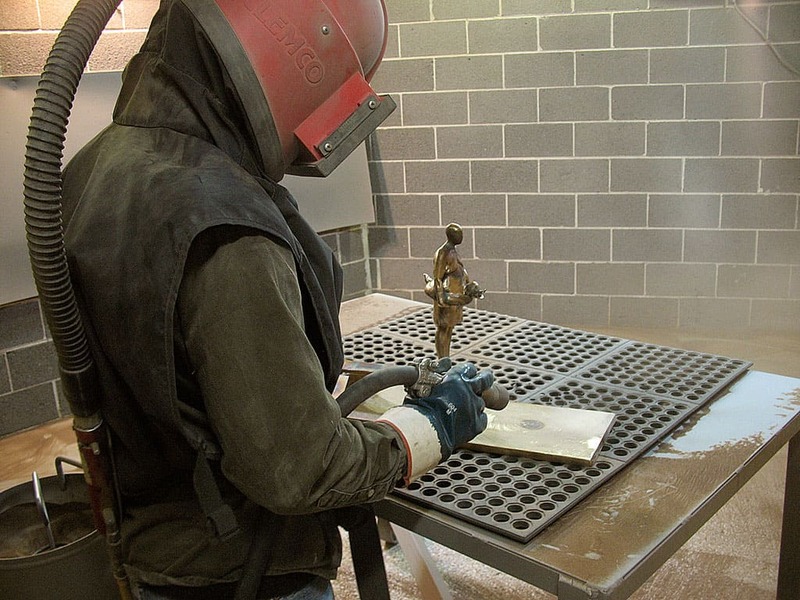 Using small glass beads (like sand), the surface will be blasted to remove any dirt or oil. 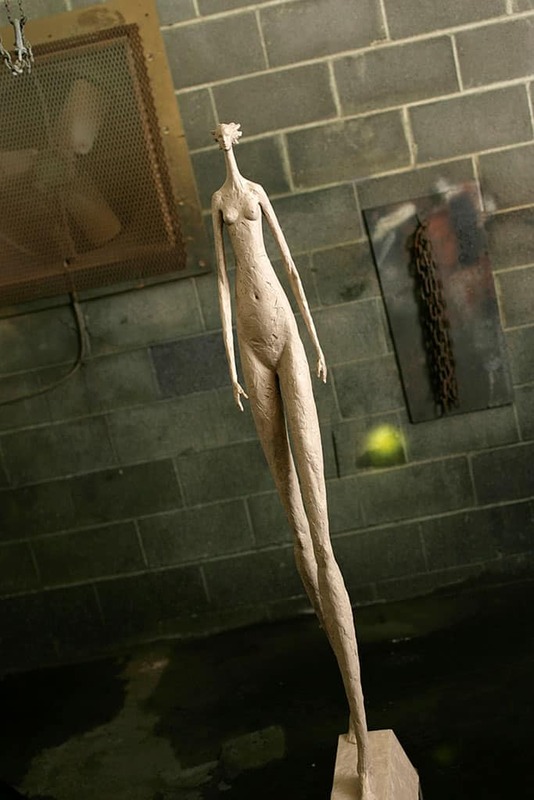 Now, the sculpture is ready for patina. 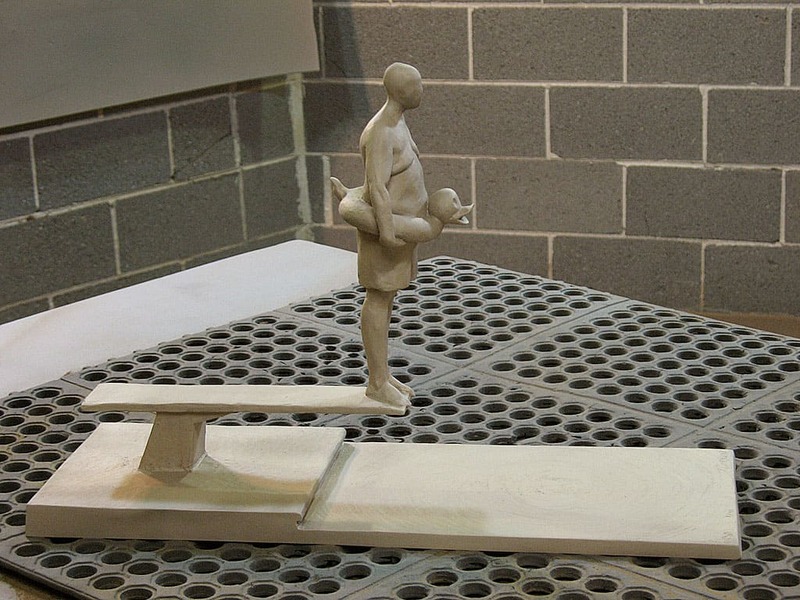 See the finished piece, Man on Diving Board Study. 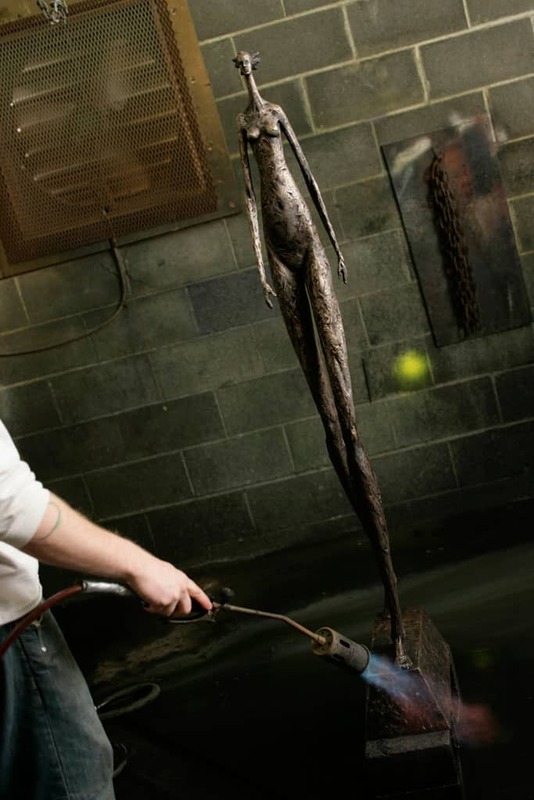 The beginning of patination was introduced in 12th century Asia and toward the end of the dark ages in Europe. 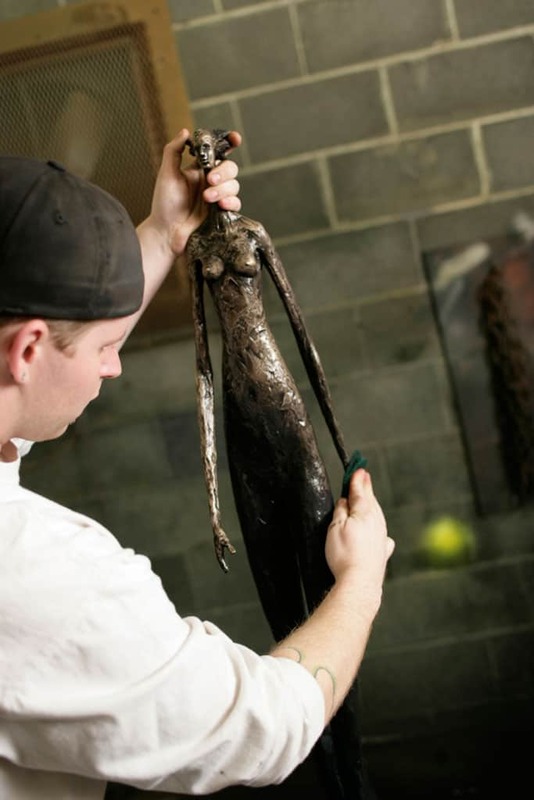 The patina artists developed methods of mimicking the mottled greens produced from years under the sea, the vibrant blues of being buried for generations in an alkali soil and the rich reds and browns which accented the bronzes in more acidic regions. The patineur will apply chemical solutions to achieve the desired color. 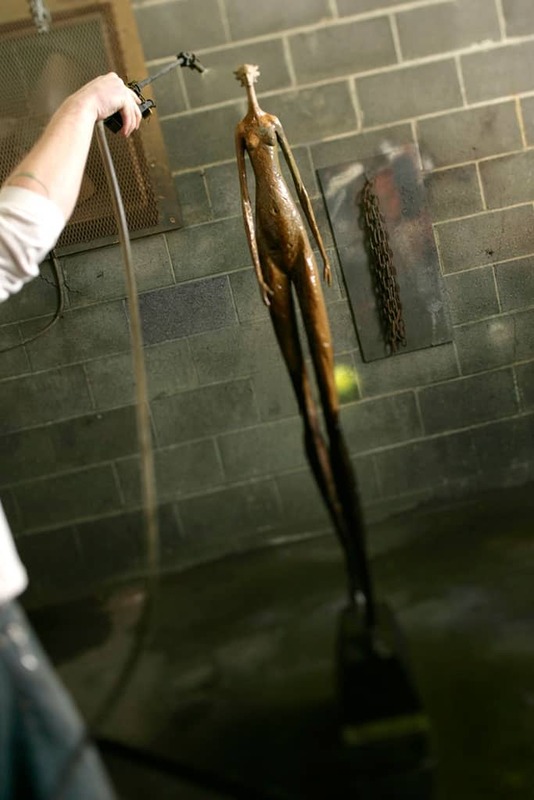 Each patina is intrinsically unique, giving the bronze exclusivity and enhanced value. 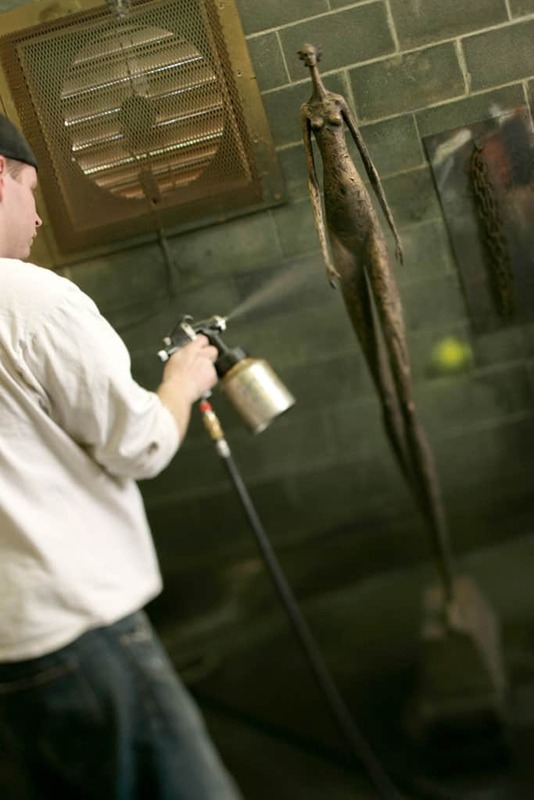 Individual solutions are sprayed onto the sculpture one layer at a time creating rich, dimensional color. “Liver of sulfer” is used, making the surface nearly black. 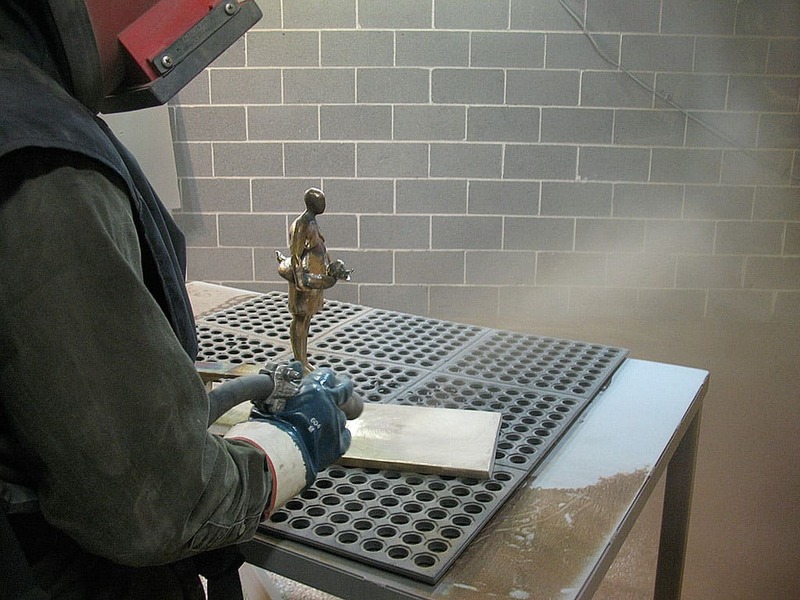 An abrasive pad is used to scrub back the surface, revealing “natural” bronze highlights on the outer surfaces while leaving the dark color in the recesses. 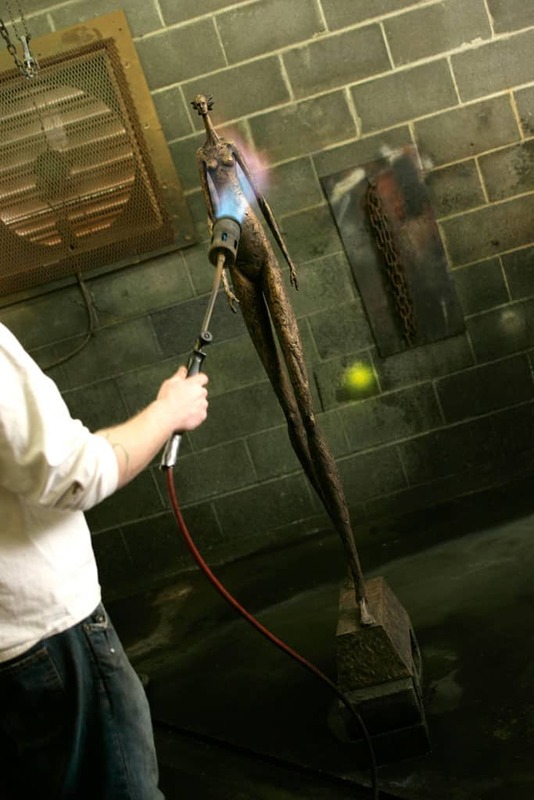 To achieve a Corbin Bronze Natural Patina, the process is completed here by brushing on paste wax. 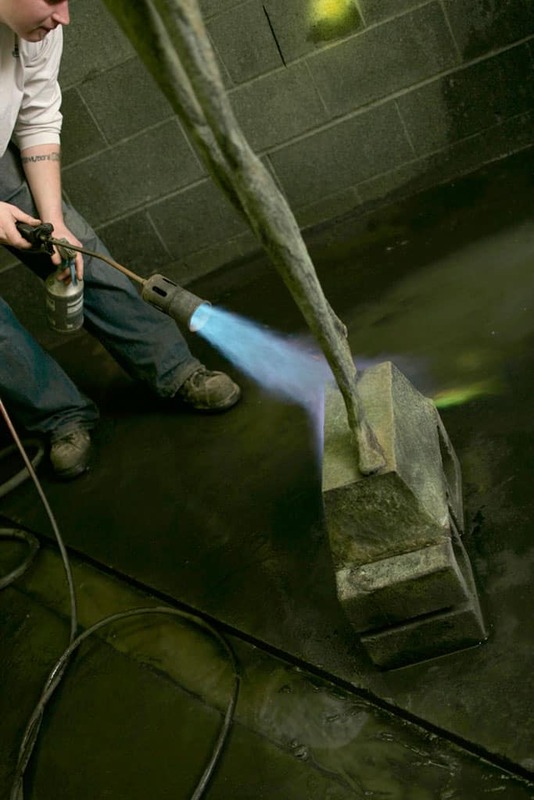 For a green/brown patina, as seen on most Corbin sculptures, several more steps are taken layering brown and then green patina formulas. 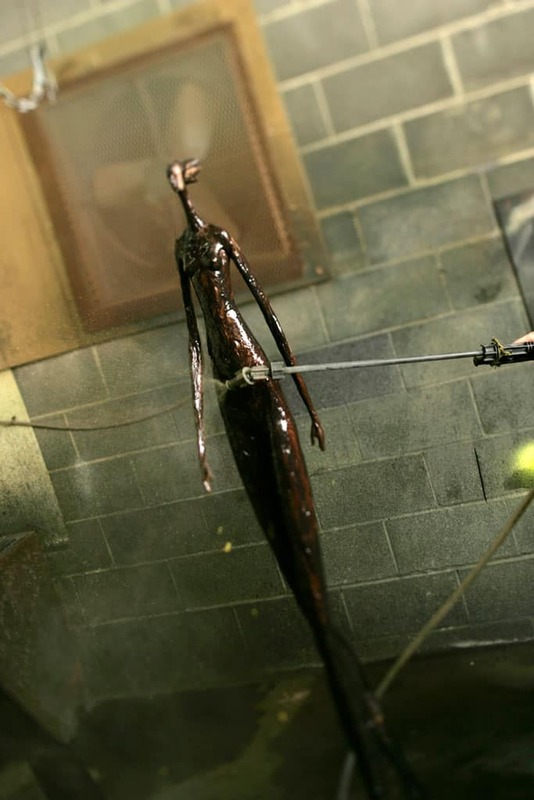 Ferric nitrate (brown) is applied. 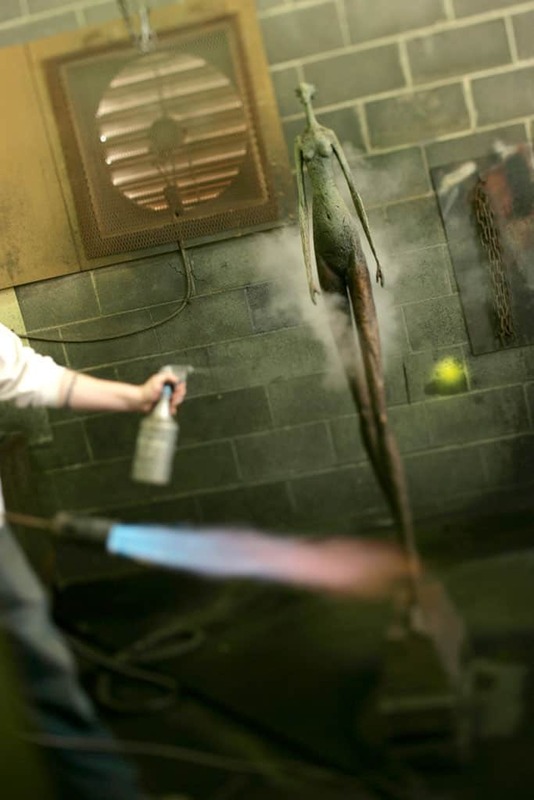 A cupric nitrate formula is sprayed on the surface which will turn the surface green. A coat of paste wax is applied while the surface is still hot, making the green partially recede while the rich browns emerge. 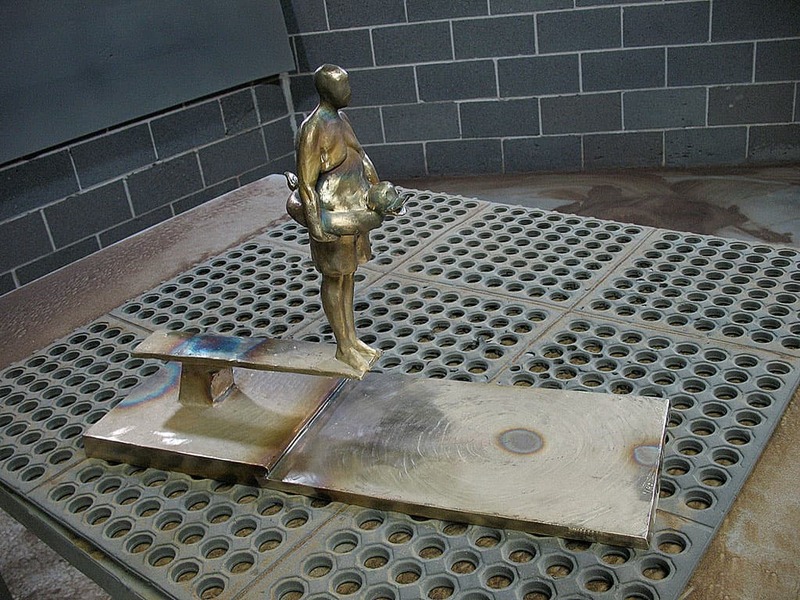 See the finished piece, La Promenade Female.